After starting Blender and closing the Splash Screen your Blender window should look something similar to the image below. 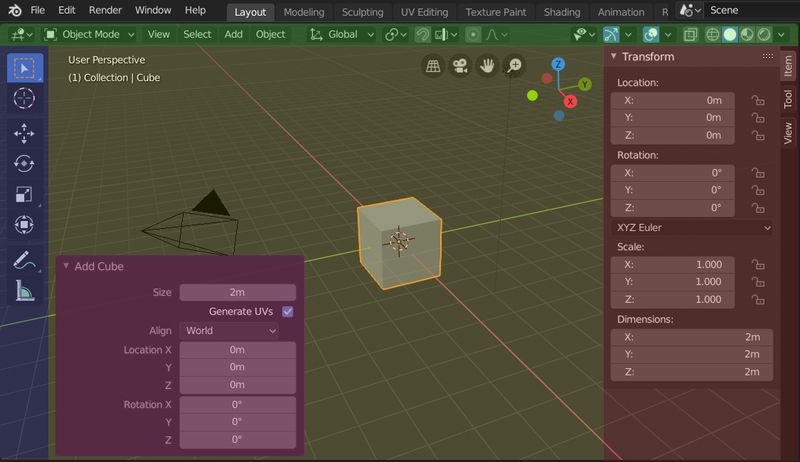 Blender’s user interface is consistent across all platforms. Tool settings the second row of the Top bar. Editors area in the middle. The large editors screen is further subdivided into Areas containing the different editors. The interface can be customized to match specific tasks using workspaces, which can then be named and saved for later use. The Layout workspace is described below. 3D View on top left. Properties editor on bottom right. 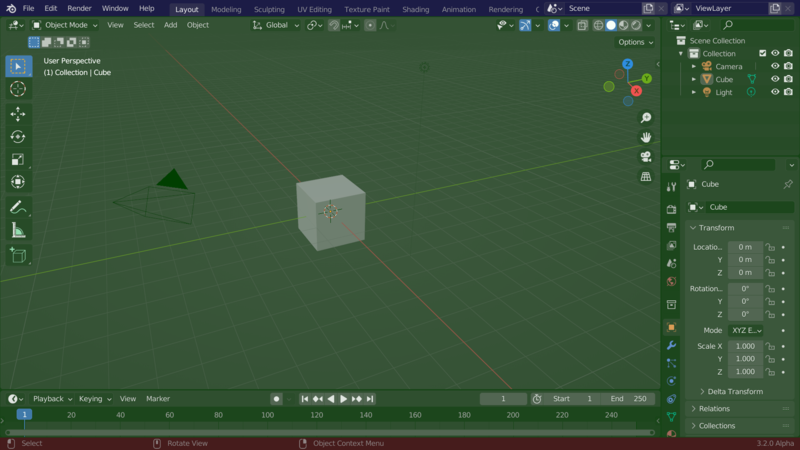 In general an editor provides a way to view and modify your work through a specific part of Blender. Editors are divided into Regions. Regions can have smaller structuring elements like tabs and panels with buttons, controls and widgets placed within them. The UI is designed to allow you to view all relevant options and tools at a glance without pushing or dragging editors around. Tools and interface options do not block the user from any other parts of Blender. Blender typically does not use pop-up boxes (requiring users to fill in data before running an operation). Tools can be accessed efficiently without taking time to select between different tools. Many tools use consistent and predictable, mouse and keyboard actions for interaction. Blender also makes heavy use of keyboard shortcuts to speed up work. These can also be customized in the Keymap Editor. Blender allows for most of its interface color settings to be changed to suit the needs of the user. If you find that the colors you see on screen do not match those mentioned in the Manual then it could be that your default theme has been altered. Creating a new theme or selecting/altering a pre-existing one can be done by selecting the User Preferences editor and clicking on the Themes tab.